For Dogs’ Sake was only established in 2017, but I have been making tasty dog treats for training or gifts for a long time before that. At the moment For Dogs’ Sake! 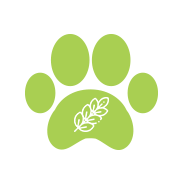 sell to individuals, local dog friendly cafes, pubs, and a doggy health food store. We are based in Liverpool and as they say “you’ll never walk alone” with these treats in you pocket! So For Dogs’ Sake! Give them some of our healthy homemade dog treats. For Dogs’ Sake! use human grade natural ingredients, some of which is organic (including my home grown ingredients). Our products have no preservatives, flavourings, colourings or bulk fillers. fat content is kept low, but taste content is high. For Dogs’ Sake! is an artisan healthy dog treats business. I hand create all our tasty healthy dog treats & taste all my treats before our chief taster does (our Golden doodle). Then a variety of her friends test them. Only then am I ready to sell the best of them. For Dogs’ Sake! have lovingly created on request doggie Birthday cakes & packages, Christmas puddings & packages, Welcome packages, Hanukah treats gift, and even created a selection of tailor-made treats that were grain free, dairy free and egg free. You just have to ask. We use human grade natural ingredients, some of which is organic (including our home grown ingredients). Take a look at our range of tasty dog treats for training or gifts.